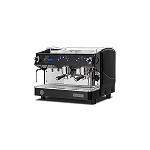 Espresso machines are known for providing high quality coffee with maximum taste. The process of forcing pressurized water through a measure of ground coffee and a filter produces a rich, concentrated espresso. 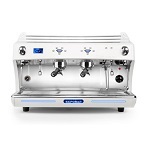 The following machines also allow the user to froth or steam their own milk with a separate wand, so that customized drinks, such as cappuccino and latte, can be created. 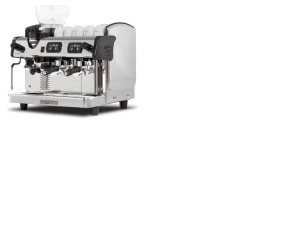 All of these 2 Group machines feature two filter handles, and the 3 Group machines feature three filter handles. 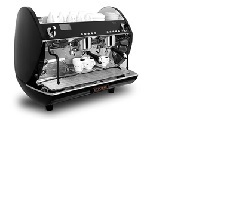 The Carat ECO PID delivers the perfect espresso every time. Featuring a large boiler, an electronic switchboard to control the coffee dosages and temperature and an automatic water filling system, the Carat uses a range of technological innovations to reduced power consumption by 50%.